As a player, Newt Oliver led the nation in collegiate scoring during 1947-48 season with 725 points while setting two national free throw records. He held every single season scoring record in the state of Ohio. He scored 291 free throws in 33 games and was credited by the National Collegiate Athletic Bureau as having the record for the most fouls made by a player during a season. As a coach, his record of 39-0 at the University of Rio Grande still stands as the longest undefeated season in the history of college basketball. The Dunkel Rating System listed his team as making the most improvement ever made by a college team after the 1952-53 season. He produced the greatest scorer in the history of college basketball, Bevo Francis, whose records still stand. His teams at Rio Grande became a household name across the country and around the world. ESPN has a one hour documentary on their exploits. Further films are in the planning stages. 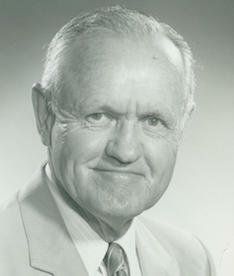 Newt was a hard working, feisty coach who demanded great effort from his players. George Steinbrenner’s story of how a small college team like Rio Grande can compete with the big boys is one of the most gratifying stories in sports.